The benchmark price of iron ore on Tuesday picked up slightly after yesterday's 8.3% drop, the second worst day on record. According to data from the The Steel Index, the import price of 62% iron ore fines at China's Tianjin port added 20c to $104.90 per tonne, soothing fears of free-fall in the price of the raw material on concerns over the Chinese steel industry. 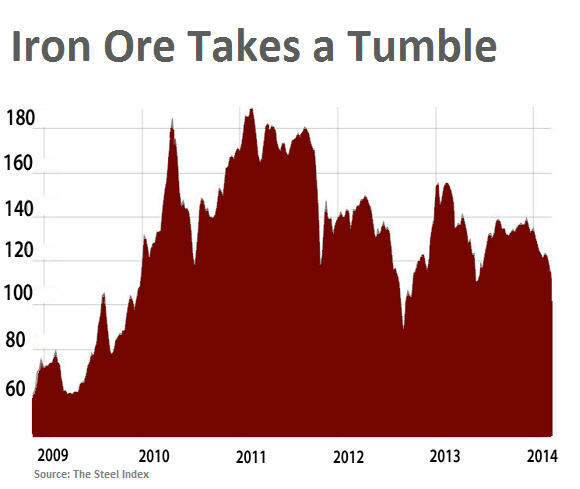 Iron ore is trading at the lowest since October 2012, and is down more than 21% since the start of the year, because of a worsening crisis in China's steel sector which consumes more than two-thirds of the seaborne iron ore trade and forges almost as much steel as the rest of the world combined. The globe's most active steel future – Shanghai rebar – is languishing at all time lows around $530 a tonne as output slows and finished product inventories reach record levels. At the same time iron ore stockpiles continue to grow and imports slump. The stockpiled iron ore is not being put to industrial use, but because of tight credit conditions inside China the ore is being used as collateral to secure loans. About 40% of the more than 100m tonnes of iron ore at China’s ports are part of finance deals, Mysteel Research estimates. Banks are now calling in these loans, leading to the collapse of steel traders and rumours of the imminent demise of a number of large mills. "So sentiment has turned to a rapid change. I expect volatility on a regular basis," he said, adding that "the longer term is still intact. I can’t see any change to forecasts." The high inventories may bring about a period of destocking, something which happened in 2012 and led to massive volatility and a $60 a tonne crash in the price over not much more than a month of trading to a low of $87 a tonne. "We see near term risks for prices and they could test Sep’12 lows of $86.7/t. 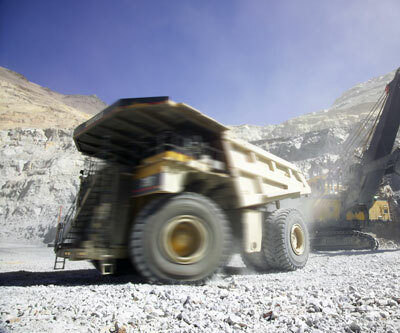 However, we believe iron ore prices below $110-$120/t should be temporary as weaker prices should make high cost producers uneconomical and together with a potential resumption in restocking at lower levels, it should act as a buoyant force on prices." Still, with marginal costs of as low as $50 a tonne, the Brazilian and Anglo-Australian giants should be able to weather the storm.